Big or small --- love ‘em all. Appreciation is a great way to start (and even end) your day. Knowing that your life is blessed, helps you open up more to noticing more blessings coming into your own life. What an incentive right? 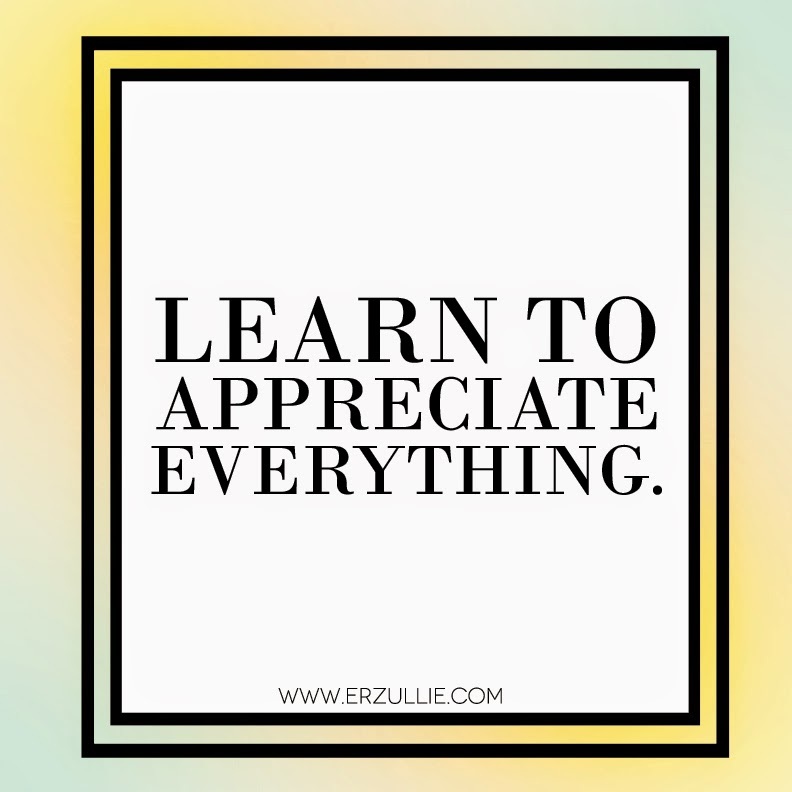 So learn to appreciate everything. It’s what makes your life the best that it is right now.